James Alexandrou, star of TV and stage, will play the role of Iago in Grassroots Shakespeare London’s production of Othello. Grassroots will be the only company performing in the West End for Shakespeare’s 450th birthday on 26th April 2014. 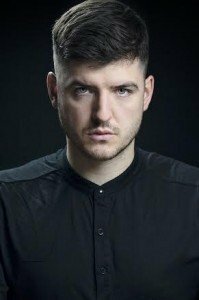 James, who has performed with Harold Pinter and is best known for his appearance as Martin Fowler in Eastenders, will be performed alongside regular Grassroots ensemble members Boris Mitkov (Cassio) and Emily Jane Kerr (Emilia). The rest of the cast is to be announced and casting will take place in January 2014. James’ Theatre Credits include: Stephen in The Back Veil (Bruce James Productions), Romeo in Romeo and Juliet (Shakespeare’s Globe), Alexander in Gertrude’s Secret (Pure Bedlam Productions), Paul Baumer in All Quiet on the Western Front (Nottingham Playhouse), Grim in In My Name (Yaller Skunk), Orlando in As You Like It (British Shakespeare Company) and Pistol in Henry V (British Shakespeare Company). TV and Film credits include: Mercutio in BBC Shakespeare, Andy Garsdale in Missing and Martin Fowler in EastEnders (all BBC), Liam in Left Outside (Goliath), PC Parkin-Betts in Lethal (Pure Film Productions), Jim Acosta in Semper Fidel (Independent) and Grant in Blessed Burden (Yardboy Pictures). Radio Credits include: Liam in 8 Feet and Rising and Joey in The Homecoming (All BBC Radio 4). The multi Off West End Award nominated Company have recently performed a well-received rep season at the Old Red Lion Theatre, following a sell-out Christmas rep season. They will premiere their original stagings of the productions devised especially for the Leicester Square Theatre’s Studio space. Led by SOLT/ TMA Stage One Producer Siobhán Daly, Grassroots is well known for its high-quality performances, its Original Practices methods and their shows being devised by each new ensemble. They produce stripped back, textually rigorous and fun productions to engage with all audiences.